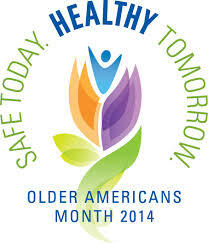 May is Older Americans Month, and this year’s theme, “Safe Today, Healthy Tomorrow,” focuses on injury prevention—particularly important for older men. While women face greater poverty rates as they age, they have some advantages in late life. Despite higher rates of living alone they have a much lower risk of social isolation than men. And in their later years they can better draw on the relationships they have built over a lifetime. Men, on the other hand, face greater difficulty remaining socially connected. For example, widowers typically lose contact with the social circles that their wives nurtured. Suicide continues to pose the greatest risk to men of all ages, who have suicide rates four times higher than women. According to the Centers for Disease Control and Prevention, men 75 and older have a heightened risk, with a rate of 36 suicides per 100,000 population, as compared to 11 per 100,000 in the general population. Race, ethnicity, and gender intersect with age to increase this risk in different ways. Older white men are better off economically than older black and Hispanic men, but white, widowed, older men face the greatest risk of suicide. The suicide rate for white men over the age of eighty is six times the overall suicide rate and three times higher than that of same-aged African-American men. Minority men with longer histories of disadvantage, such as discrimination and financial instability, may be better prepared in some ways for the challenges and indignities of old age. The reasons for elder suicide are multiple. Nancy Osgood, professor emeritus of gerontology at Virginia Commonwealth University, has called this time in one’s life the “season of losses.” Growing old means sustaining multiple losses in quick succession. Older adults not only face losing partners, friends, health, work, but community, home, and personal possessions upon entry to a nursing home. For white men, aging often means losing the status, authority, and power they enjoyed earlier in life, and it’s no surprise that their already elevated suicide rates continue to climb after age 85, to 51 per 100,0000. Suicide rates rise in time of economic downturn, and men confront increasing financial stress as they age, increasing their susceptibility to depression and substance abuse and leaving them more vulnerable to self-harm. But clinical depression is not an inevitable or normal response to aging. Depression, a major risk factor for suicide, remains under-diagnosed and under-treated in older adults. Even when older people receive a depression diagnosis, they tend to receive less attention and less aggressive treatment than younger patients. Several studies have shown that up to 75% of elderly people who committed suicide saw their doctors within a month of killing themselves. Looming demographic changes underscore the urgency of addressing this oft-neglected problem. The graying of baby boomers and rapid growth of the “oldest-old” (those aged 85 and older) will demand increased attention and understanding of these mental health needs. A recent Census Bureau report noted that while the health and financial circumstances of older people are improving, changes in the American family—more divorce, fewer children and more stepchildren—may affect the social support that older people can depend on in the future. Other researchers have long detected higher rates of depression and substance abuse problems among baby boomers, both primary risk factors for suicide in older people. These demographic trends necessitate that we remain attuned to the vulnerabilities of a population that struggles even in good times and more so when faced with economic hardship. Not only must we work towards increasing awareness and candor about the problem of elder suicide but must continue to promote aggressive, tailored efforts to address the specific needs of older depressed men. Torres, Stacy. Spring 2014. “Aging Women, Living Poorer.” Contexts 13: 72-74. Holmes, Ronald M., and Holmes, Stephen T. 2005. Suicide: Theory, Practice, and Investigation. Thousand Oaks, C.A. : Sage Publications. Osgood, Nancy J. 1992. Suicide in Later Life: Recognizing the Warning Signs. New York: Lexington Books. Kaplan, Mark S., Adamek, Margaret E., Calderon, Alvin. 1999. “Managing depressed and suicidal geriatric patients: Differences among primary care physicians.” The Gerontologist 39: 417-425. He, Wan, Manisha Sengupta, Victoria A. Velkoff , and Kimberly A. DeBarros. 2005. 65+ in the United States: 2005, U.S. Census Bureau, Current Population Reports, P23-209, U.S. Government Printing Office, Washington, DC. Stacy Torres is a Ph.D. candidate in the department of Sociology at New York University, completing her dissertation on aging. Check out her most recent op-ed in the New York Times!